I thought i’d give another good friend of mine some blog love today. Juice 126 was and still is a big influence upon me and what I do. We met at the World Graffiti Championships in Bridlington in 1989 and we’ve been friends ever since. We started a Reptiles together and our now both Agents Of Change together… We’ve painted more walls together than I can count and i’ve watched his influence wash over so many artists from all over the world! 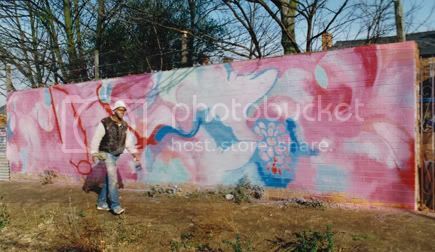 Juice 126 abstract, Selly Oak, Birmingham 1989. (Thanks to Martin Jones for the photo). Welcome to a world of genetic modernisation. 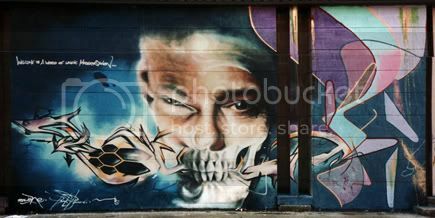 By Part2ism, Remi/Rough and Juice 126. Hull 1998.